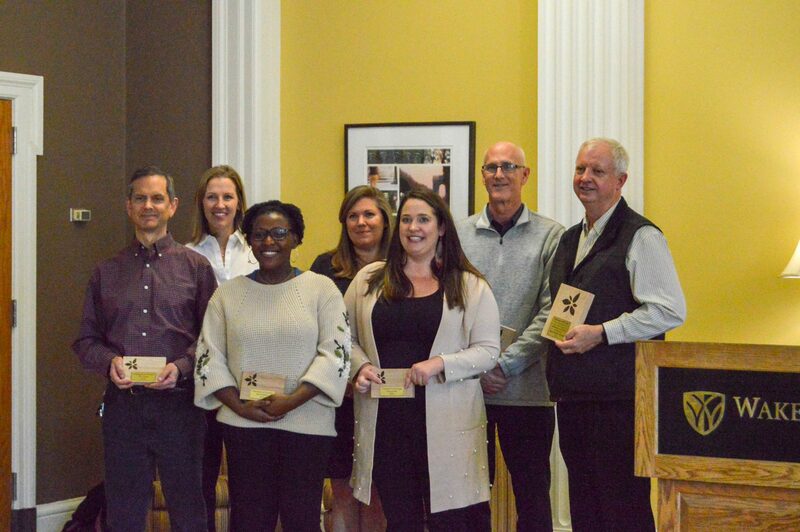 Each year, the Office of Sustainability recognizes campus change agents who work to create a more adaptable and resilient Wake Forest community as “Champions of Change.” This year’s fifth annual Campus Sustainability Awards celebration took place on March 21 during the Office of Sustainability’s week-long celebration of the Earth. 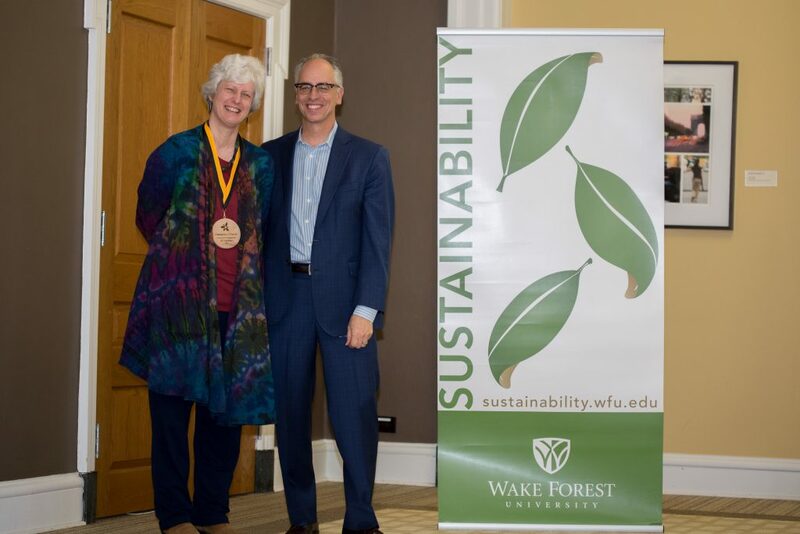 Wake Forest University Provost Rogan Kersh and Executive Vice President Hof Milam recognized students, faculty, and staff who have demonstrated or initiated successful sustainable practices on campus in the following five categories: Teaching, Research and Engagement; Resource Conservation; Service and Social Action; Bright Ideas; and Leadership. 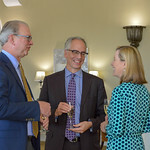 Dr. Jill Crainshaw was awarded the Teaching, Research, and Engagement Award for her course, “Sacraments and Ordinances: History, Theology and Practice.” Her course takes a place-based educational approach to exploring liturgical and sacramental rituals like baptism and the breaking of bread. Through this course, Jill trains ministers and theologians to attend to the local needs of communities they will soon be leading. 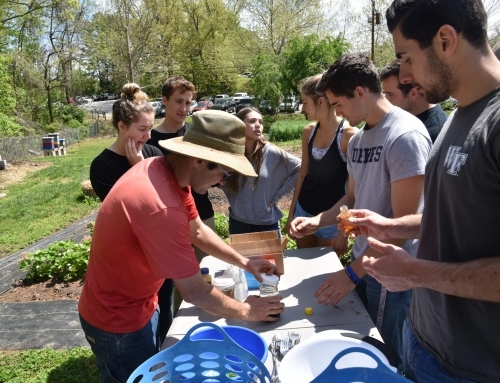 Additionally, Jill weaves sustainability concepts into her course by taking students to meet local bakers, farmers, and vintners and to explore local waterways, where they can connect place and contemplate all aspects of environmental stewardship. 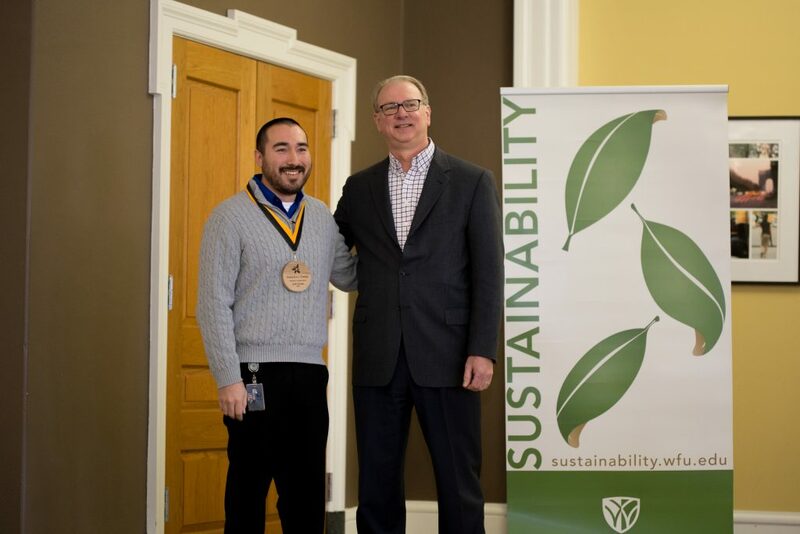 This year’s Resource Conservation Award went to Josh Suzuki, Assistant Director of Operations for the Lawrence Joel Veterans Memorial Coliseum. 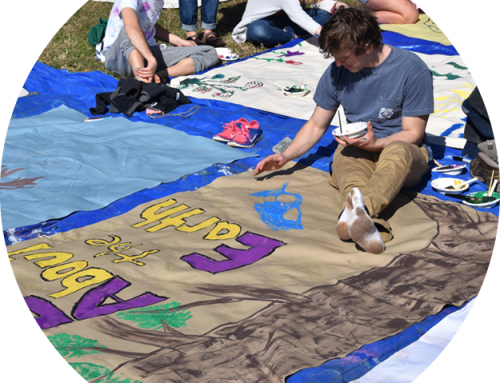 As the Green Team for Wake Forest Athletics, Josh implemented a composting program for BB&T Field and LJVM Coliseum. 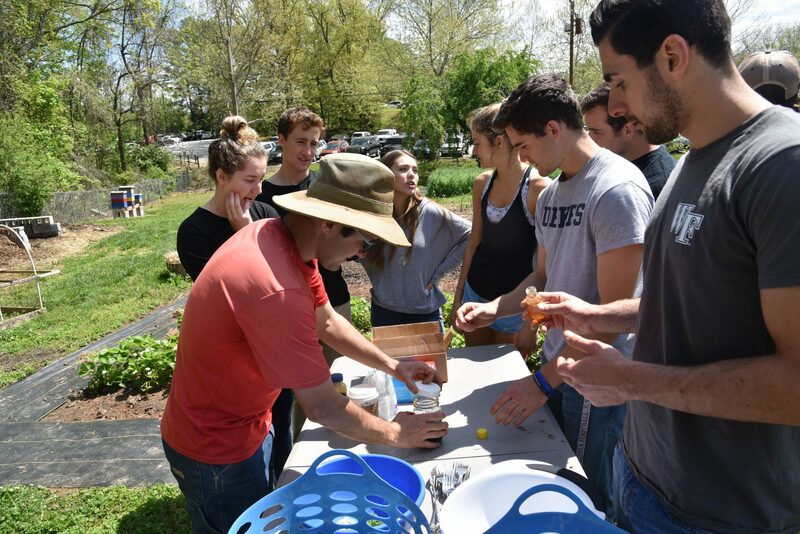 As a result of this program, and through a pre-existing partnership with Gallins Family Farm, 3.2 tons of food waste from the Coliseum and Deacon Tower were diverted from landfills in 2017. 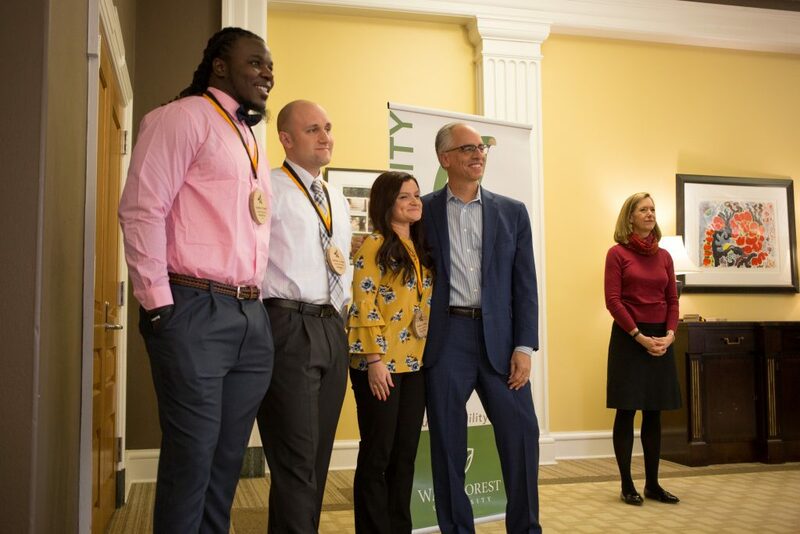 The Service and Social Action Award went to Assistant Professor of Education Dr. Alan Brown, Demon Deacon defensive end Wendell Dunn, and Bailey Allman, a Wake Forest alumna and teacher at Paisley Middle School. This award honors the inspired collaboration between these three leaders who initiated a sports literacy program at Paisley. 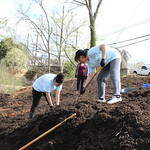 As a result of the program, many students who were once struggling academically have found success in the classroom and can now imagine their roles as future leaders in their communities. 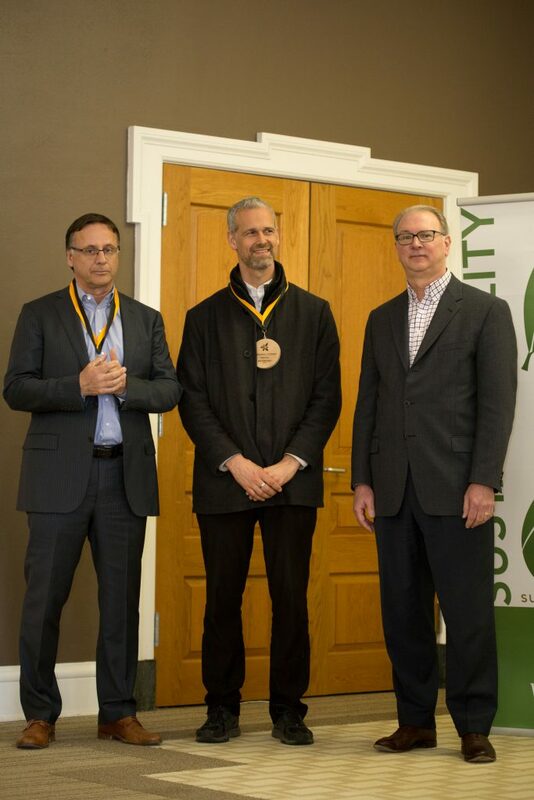 This year, the Office of Sustainability recognized three individuals who merged their talents to launch one very “Bright Idea.” John Shenette, AVP for Facilities and Campus Services, Dr. Jed Macosko, Associate Professor of Physics, and GIS specialist Dr. Becky Dickson are currently working together to make the campus a living laboratory for sustainability studies and practice. Their project was sparked by Physics Chair Dany Shapiro, who requested that the university administration find ways to reduce light pollution on campus. Always looking to engage students, John Shenette reached out to the Office of Sustainability to explore possibilities for a classroom-based design solution. Before long, students in this semester’s “Physics and Chemistry of the Environment” course were busy working on Operation Night Light, a project measuring light pollution with tools provided by Facilities & Campus Services. Becky Dickson, whose GIS students are mapping campus energy data this semester, will map light pollution in the fall as the group pursues new lighting standards. Anna Marie Carr received this year’s Leadership Award for her unprecedented efforts to reduce waste across HR Office operations and events. 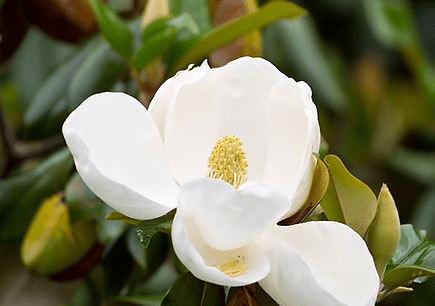 Examples of her efforts include the HR Staff Rewards & Recognition luncheon, where she worked to create a nearly waste-free event attended by over 250 people. 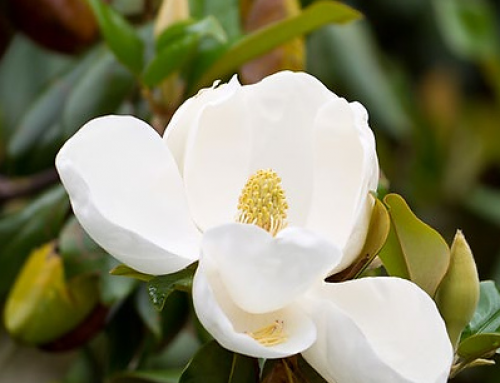 Anna Marie worked with Aramark to ensure the use of compostable cups, plates, and serviceware, collaborated with the Office of Sustainability and Facilities to secure compost bins and Compost Crew volunteers, and purchased reusable centerpieces. For the same event, Anna Marie worked with JL Bolt to craft awards from old Reynolds Gym flooring. This innovative event-planning model has since been deployed across HR events, including Workday Pop-Up labs, Leadership Summits, and Talent Forums. 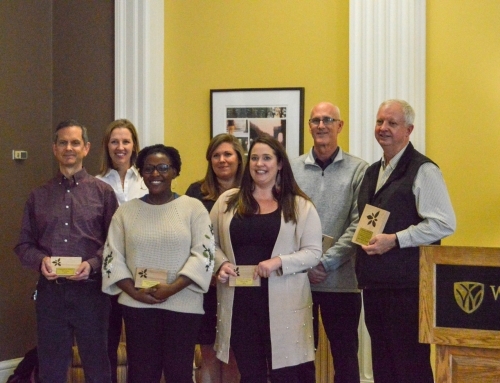 Lastly, Champion of Change Awards, which recognize individuals who have made an impact on campus sustainability, were presented to Hilary Floyd, Michelle Ford, Tim Vandermeersch, Jordan Mullens, and T Taylor. 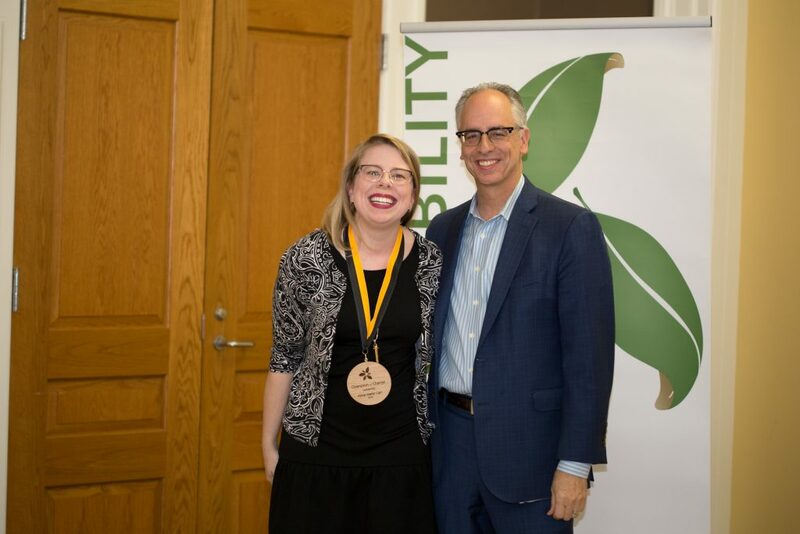 As the Green Team captain for the School of Divinity, Hilary Floyd supports colleagues and graduate students in implementing sustainability practices. She has helped the school switch to 100% post-consumer recycled content copy paper and transition to online applications. 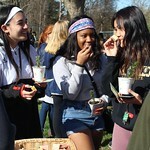 In addition, “Commonplace,” the Divinity student sustainability-focused organization that Hilary supports, collects food waste for composting at the school’s twice-weekly lunches. 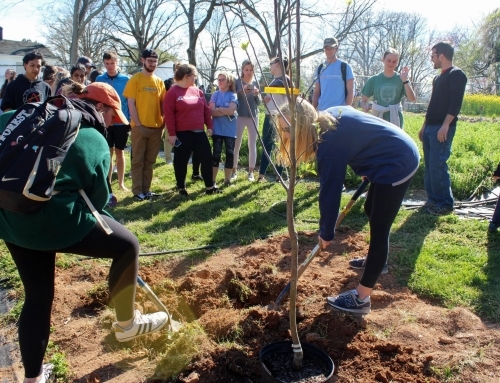 As the new Green Team captain for Biology, Michelle Ford hit the ground running. In her short time in this position, she has fully committed to waste reduction, incorporating food waste collection at two departmental events and leading the department in making the switch to 100% post-consumer recycled content copy paper. She inspires others by applying a sustainability lens to all of her decisions. Tim Vandermeersch is the Resident District Manager for Aramark at Wake Forest and a member of the Deacon Dining Green Team. Tim’s spirit of innovation and willingness to explore new ideas has led to dramatic increases in both sustainability and customer satisfaction in dining. 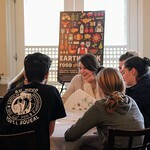 In residential dining, over 30% of the food Aramark procures is now from sustainable production sources. 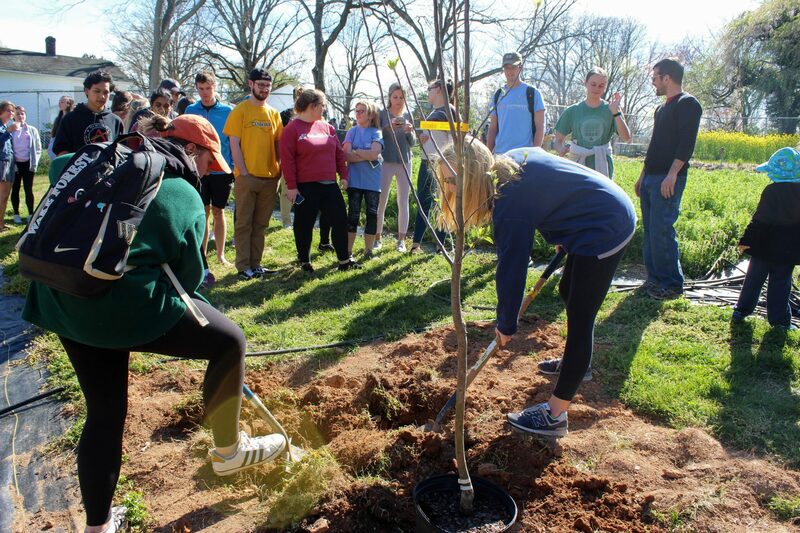 Jordan Mullens has been a true leader as the Greeks Go Green representative for Delta Zeta sorority. She has implemented an organic waste collection program for composting on the DZ halls to divert waste from landfills and raise awareness of the issue of food waste. 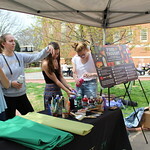 This past fall, along with her sorority’s Vice President of Philanthropy, Kimi Morris, Jordan helped organize Pink Goes Green, a series of events and activities on campus aimed at increasing recycling rates among peers. 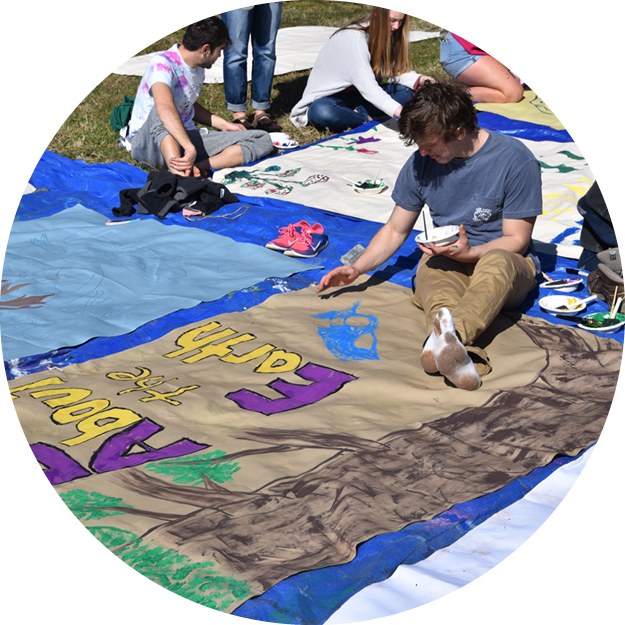 Activities included campus outreach and a recycling competition at a football tailgate. 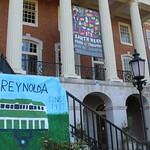 T Taylor fully embodies her leadership role as the Graduate Hall Director for Kitchin Residence Hall. 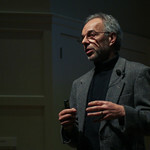 This past fall, a pilot campaign on energy and water conservation was launched in Kitchin Hall. 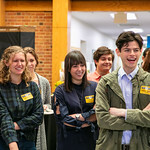 T made the program a priority among her staff and engaged her RAs in the planning process, empowering them to assert their own leadership and be an integral part of the solution. 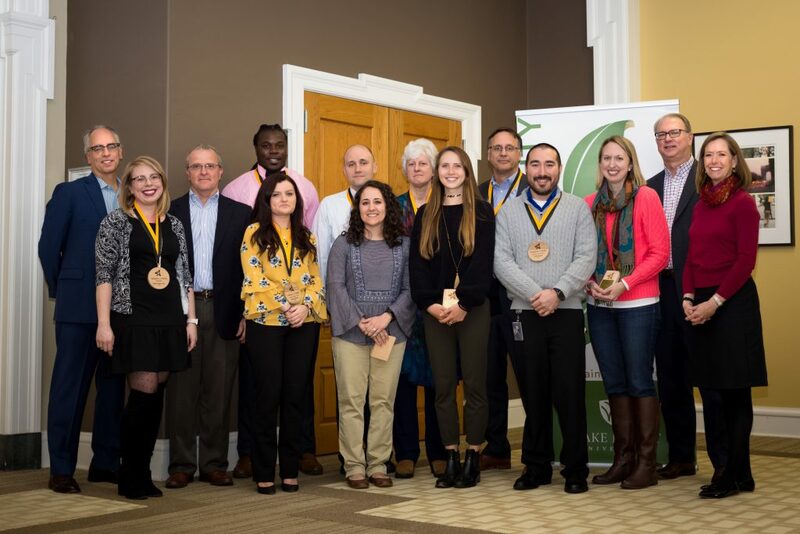 Congratulations to all of our Champions of Change for their work to make Wake Forest an even more sustainable place to live, work, study, and play. The 2018 Champions of Change. Photo by Sean Yan.